Juries can be unpredictable, prejudiced and difficult to read. Though it may be the attorney’s job to win the case, our jury consultants can help get your message across clearly. 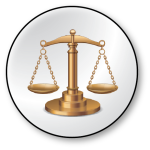 Our expertise in and out of the courtroom goes beyond traditional jury consultation. As consultants we know the importance of being able to adapt. We’ll decode the subtle body language of jury members and help you refine arguments to better communicate with your audience. We know the case doesn’t start at trial; by consulting during mock trials, we can give insights into possible juror reactions and opposing counsel’s arguments. CHAIRMAN OF THE LITIGATION DEPARTMENT, SHUMAKER WILLIAMS, P.C.